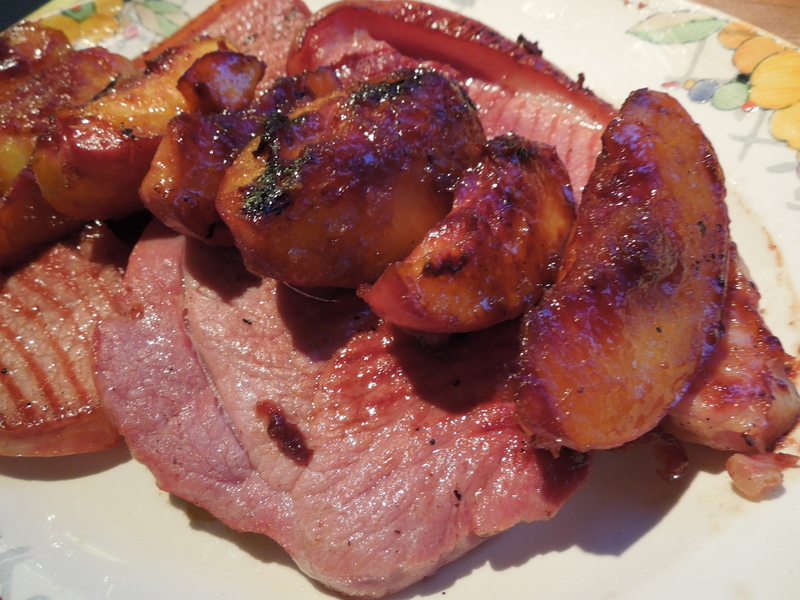 We were wandering around the supermarket the other day, saying: “what haven’t we eaten for while?” The answer was gammon steaks, something we rarely cook but which make a welcome change from time to time. Our next stop was the fruit counter for some fresh and juicy peaches. They combined to make a quick and tasty supper which takes a couple of minutes to prepare and less than 10 minutes to cook. Try it with fresh sweetcorn with a squeeze of lime juice or a crunchy, citrusy salad. 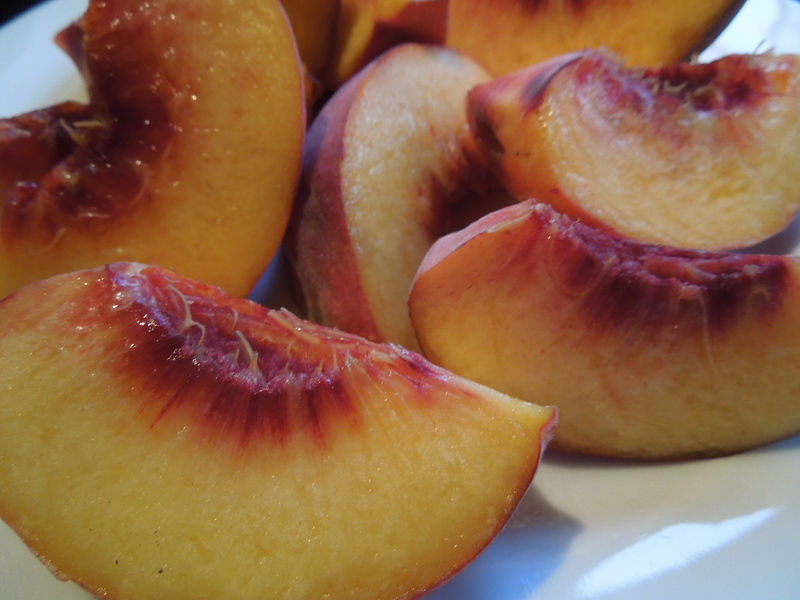 The peaches would also be good paired with roast duck. Halve and stone the peaches and then cut again into quarters. In a medium bowl, whisk the soy sauce, honey and grated ginger with the oil. Put the peach quarters in the bowl and toss gently to coat. Leave to marinade for 5-10 minutes if you have time. 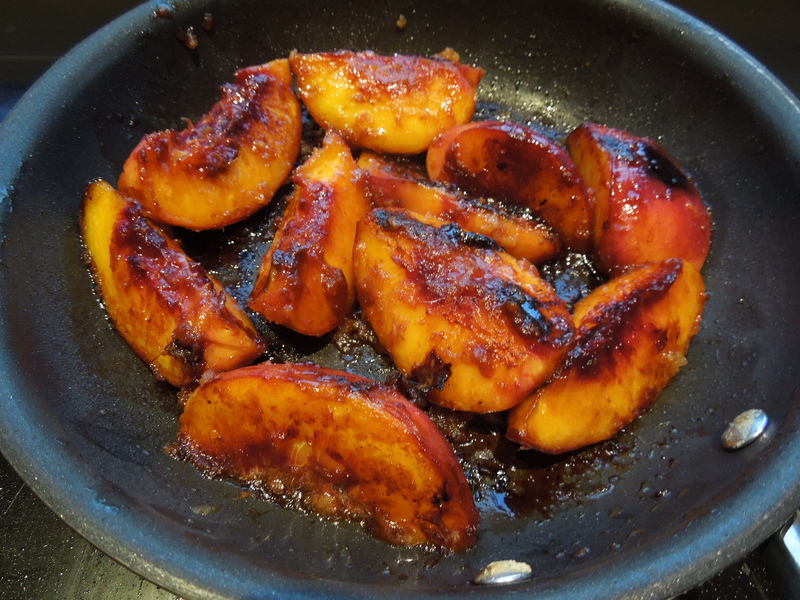 When you’re ready to eat, dry-fry or barbecue the peach slices for a minute or so on each of their three sides, basting with any leftover marinade. Griddle or barbecue the gammon steak until cooked but still juicy (depends on thickness but ours took 2-3 minutes a side). Job done. 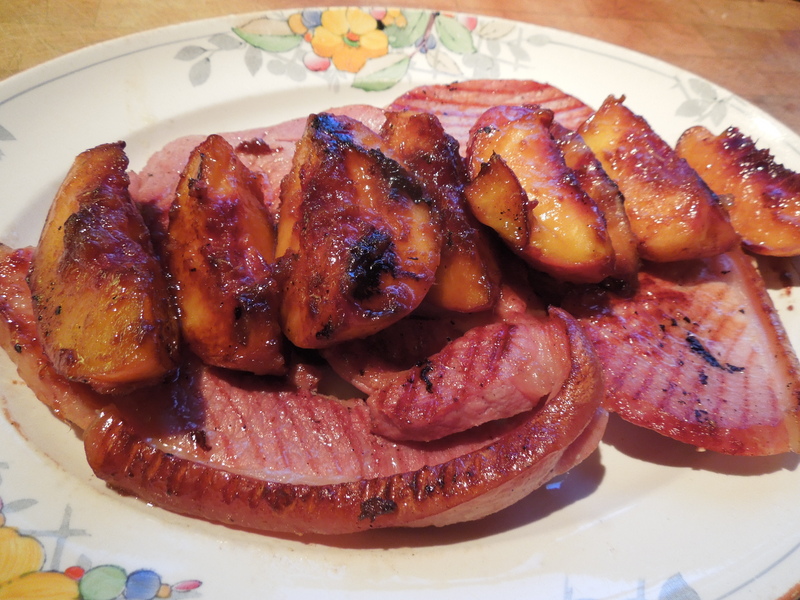 This entry was posted in Fruit, Mains, Pork, ham and bacon and tagged gammon steaks, gammon with roast peaches, savoury peach recipe by Linda Duffin. Bookmark the permalink. Obscene. I could easily eat all of that right now. The salt / sweet balance must be divine. Bravo! Thank you! And thanks, too, for the tip re Irish smoked salmon – checked it out and brought some home. Delicious. Excellent. They really do a very special one. 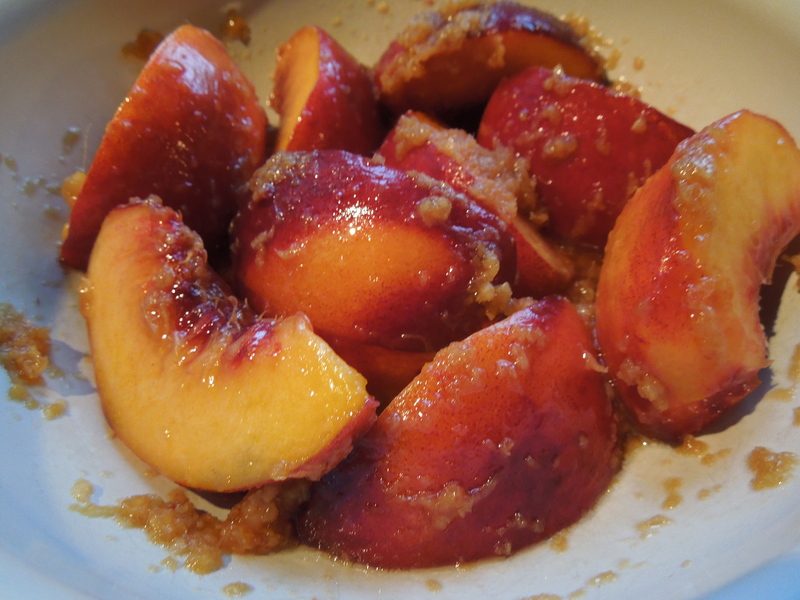 Though I don’t have gammon, I think my pork confit crisp under the broiler would do well with peaches–and I just happen to have some of the last of the season. Thanks for a great idea.